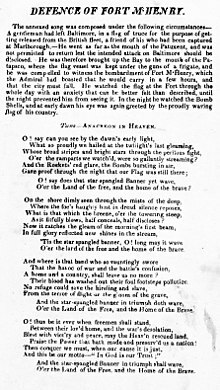 ^ 1.0 1.1 ""Star-Spangled Banner" Is Now Official Anthem". The Washington Post. March 5, 1931. p. 3. 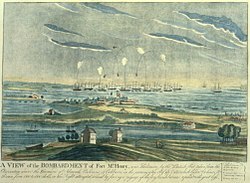 ^ Defence of Fort M'Henry | Library of Congress. Loc.gov. [2017-04-18]. ^ 5.0 5.1 Cavanaugh, Ray. 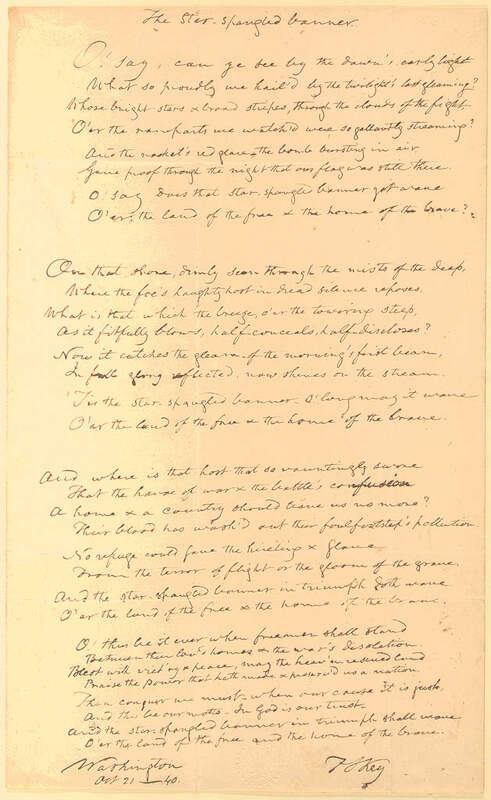 The Star-Spangled Banner: an American anthem with a very British beginning. The Guardian. July 4, 2016 [September 27, 2017]. 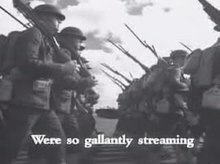 ^ Cubs vs Red Sox 1918 World Series: A Tradition is Born. Baseballisms.com. 2011-05-21 [2017-04-18]. ^ Archived copy. [2016-02-03]. （原始内容存档于2014-02-22）. 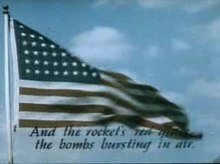 ^ 8.0 8.1 "National Anthem Hearing Is Set For January 31". The Baltimore Sun. January 23, 1930. p. 4. ^ Company News - Ripley Entertainment Inc. Ripleysnewsroom.com. [2017-04-18]. 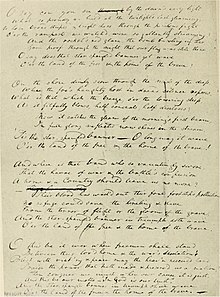 ^ 10.0 10.1 "5,000,000 Sign for Anthem: Fifty-Mile Petition Supports "The Star-Spangled Banner" Bill". The New York Times. January 19, 1930. p. 31. 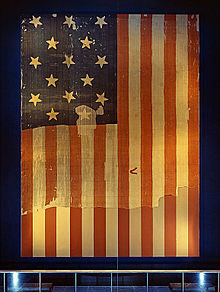 ^ 14.0 14.1 "'Star Spangled Banner' Is Voted National Anthem by Congress". The New York Times. March 4, 1931. p. 1. ^ 美國法典第36卷（英语：Title 36 of the United States Code）第301章. ^ Library of Congress image. [2010-06-14]. ^ Butterworth, Hezekiah; Brown, Theron. The Story of the Hymns and Tunes. George H. Doran Co.: 335. 1906. ^ The soldier's companion: dedicated ... – Google Books. Books.google.com. 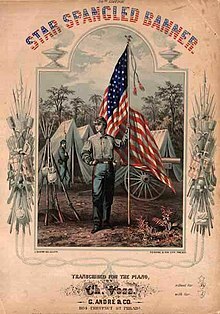 1865 [2010-06-14].